For the past 21 years, Dr. Swanson has served the field of education as a special education teacher, college instructor, researcher, public speaker, and writer. Swanson's consistent focus has been on improving educational opportunities for struggling readers and students with learning disabilities. 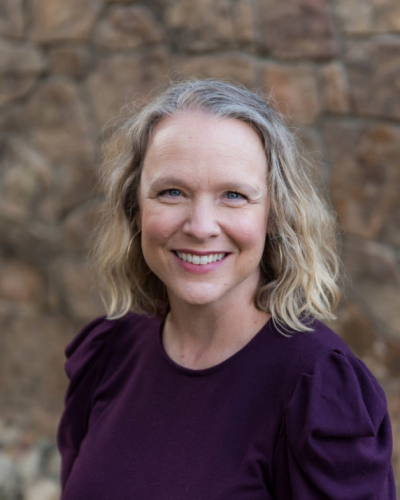 She is currently a Research Associate Professor with a dual appointment in the Department of Special Education at The University of Texas at Austin and the Meadows Center for Preventing Educational Risk. Dr. Swanson is the principal investigator of an IES-funded research project investigating the effects of a vocabulary and reading comprehension intervention delivered in 4th grade social studies. 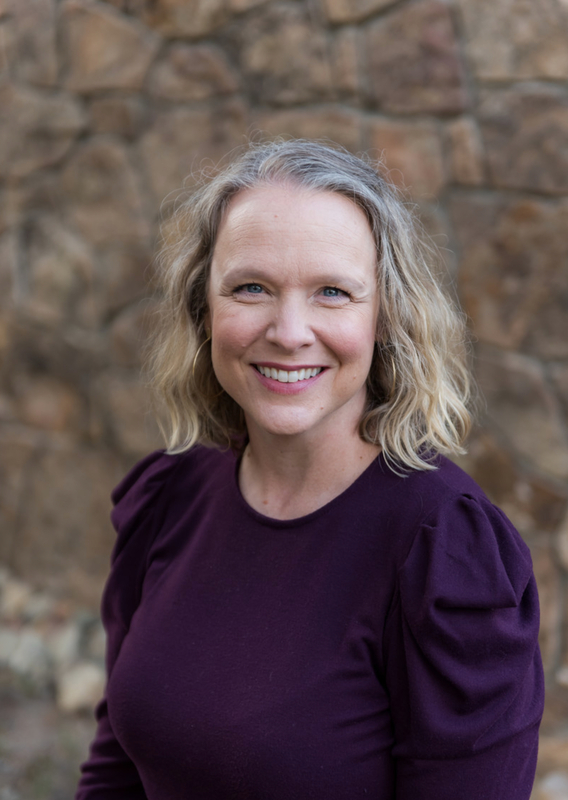 She is also the principal investigator of the Texas Education Funded Building RTI Capacity designed to support the implementation of Response to Intervention throughout the State of Texas. As co-principal investigator of the a model demonstration project funded by the Office of Special Education Programs, she leads a group of instructional coaches and teachers as they infuse middle school content area classes with research based literacy practices. Dr. Swanson co-authored a book entitled Now We Get it! Boosting Comprehension with Collaborative Strategic Reading (http://www.wiley.com/WileyCDA/WileyTitle/productCd-1118026098,descCd-buy.html) and has published more than 40 articles in peer reviewed journals focused on literacy instruction in grades K-8. She presents frequently for teacher audiences and at nationally-recognized conferences. Swanson, E., Wanzek, J., Vaughn, S., Fall, A-M., Roberts, G., Hall, C. & Miller, V. (2017). Middle school reading comprehension and content learning intervention for below average readers.. Reading and Writing Quarterly: Overcoming Learning Difficulties, 33, 37–53. Vaughn, S., Martinez, L. R.., Wanzek, J.., Roberts, G., Swanson, E. & Fall, A-M. (2017). Improving content knowledge and comprehension for English language learners: Findings from a randomized control trial.. Journal of Educational Psychology, 109(1), 22–34. Swanson, E., Waznek, J., McCulley, L., Stillman-Spisak, S., Vaughn, S., Simmons, D., Fogarty, M. & Hairrell, A. (2016). Literacy and text reading in middle and high school social studies and English language arts classrooms. Reading & Writing Quarterly, 32(3), 199–222. http://files.eric.ed.gov/fulltext/ED562675.pdf. doi:10.1080/10573569.2014.910718. Swanson, E., Reed, D. & Vaughn, S. (2016). Research-based lessons that support student independent reading in social studies.. Preventing School Failure. http://www.tandfonline.com/doi/abs/10.1080/1045988X.2016.1164116. doi:http://dx.doi.org/10.1080/1045988X.2016.1164116. Wanzek, J., Swanson, E., Vaughn, S., Roberts, G. & Fall, A-M. (2016). English learner and non-English learner students with disabilities: Content acquisition and comprehension.. Exceptional Children, 82(4), 428–442. doi:10.1177/0014402915619419. Swanson, E., Wanzek, J., Vaughn, S., Roberts, G. & Fall, A. (2015). Improving reading comprehension and social studies knowledge among middle school students with disabilities. Exceptional Children, 81(4), 426–442. doi:10.1177/0014402914563704. Wanzek, J., Swanson, E., Roberts, G., Vaughn, S. & Kent, S. (2015). Promoting acceleration of comprehension and content through text in high school social studies classes. Journal of Research on Educational Effectiveness, 8(2), 169–188. Wanzek, J., Kent, S., Vaughn, S., Swanson, E., Roberts, G. & Haynes, M. (2015). Implementing team-based learning in middle school studies classes. Journal of Educational Research, 108(4), 331–334. Kent, S., Wanzek, J., Swanson, E. & Vaughn, S. (2015). Team-based learning for students with high-incidence disabilities in high school social studies classrooms. Learning Disabilities Research and Practice, 31, 3–14. Swanson, E. & Wanzek, J. (2014). Applying research in reading comprehension to social studies instruction for middle and high school students. Intervention in School and Clinic, 49(3), 142–147. Denton, C., Wolters, C., York, M., Swanson, E., Kulesz, P. & Francis, D. (2014). Adolescents' use of reading comprehension strategies: Differences related to reading proficiency, grade level, and gender. Learning and Individual Differences, 37, 81–95. Vaughn, S., Roberts, G., Swanson, E., Wanzek, J., Fall, A-M. & Stillman-Spisak, S. (2014). Improving middle school students' knowledge and comprehension in social studies: A replication. Educational Psychology Review, 27(1), 31–50. Wanzek, J., Vaughn, S., Kent, S., Swanson, E., Roberts, G., Haynes, M., Fall, A-M., Stillman-Spisak, S. & Solis, M. (2014). The effects of team-based learning on social studies knowledge acquisition in high school.. Journal of Research on Educational Effectiveness, 7, 183–204. Swanson, E., Hairrell, A., Kent, S., Ciullo, S., Wanzek, J. & Vaughn, S. (2014). A Synthesis and Meta-Analysis of Reading Interventions Using Social Studies Content for Students with Learning Disabilities. Journal of Learning Disabilities, 47(2), 178–195. Vaughn, S., Roberts, G., Klingner, J., Swanson, E., Boardman, A., Stillman, S., Mohammed, S. & Leroux, A. (2013). Collaborative Strategic Reading: Findings from experienced implementers. Journal of Research on Educational Effectiveness, 6(2), 137–163. Vaughn, S., Swanson, E., Roberts, G., Wanzek, J., Stillman-Spisak, S., Solis, M. & Simmons, D. (2013). Improving reading comprehension and social studies knowledge in middle school. Reading Research Quarterly, 48(1), 77–93. Klingner, J., Vaughn, S., Boardman, A. & Swanson, E. (2012). Now we get it! : Boosting comprehension with collaborative strategic reading. San Fancisco: Jossey-Bass. Newman-Thomas, C., Smith, C., Zhao, X., Rieth, H., Swanson, E. & Heo, Y. (2012). Technology-based practice to teach preservice teachers to assess oral reading fluency. Journal of Special Education Technology, 27(1), 15–32. Solis, M., Vaughn, S., Swanson, E. & McCulley, L. (2012). Collaborative models of instruction: The empirical foundations of inclusion and co-teaching. Journal of School Psychology, 49, 498–510. Swanson, E., Solis, M., Ciullo, S. & McKenna, J. (2012). Special Education Teachers' Perceptions and Instructional Practices in Response to Intervention Implementation. Learning Disability Quarterly, 35, 115–126. Swanson, E., Wanzek, J., Haring, C., Ciullo, S. & McCulley, L. (2011). Intervention fidelity in special and general education research journals. The Journal of Special Education, 47(1), 3–13. Vaughn, S., Klingner, J., Swanson, E., Boardman, A., Roberts, G., Mohammed, S. & Stillman-Spisak, S. (2011). Efficacy of Collaborative Strategic Reading with middle school students. American Educational Research Journal, 48(4), 938–964. Swanson, E., Vaughn, S., Wanzek, J., Petscher, Y., Heckert, J., Cavanaugh, C., Kurz, G. & Klingner, K. (2011). A Synthesis of Read-Aloud Interventions on Early Reading Outcomes among Preschool through Third Graders at risk for reading difficulties. Journal of Learning Disabilities, 44, 258–275. Swanson, E., Edmonds, M., Hairrell, A., Vaughn, S. & Simmons, D. (2011). Applying a cohesive set of comprehension strategies to content area instructio. Intervention in School and Clinic, 46, 266–272. Hairrell, A., Simmons, D., Swanson, E., Edmonds, M. & Vaughn, S. (2010). Translating vocabulary research to social studies instruction: Before, during, and after text reading strategies. Intervention in School and Clinic, 46, 1–7. Swanson, E. & Vaughn, S. (2010). An observation study of reading instruction provided to elementary students with learning disabilities in the resource room. Psychology in the Schools, 47, 481–492. Swanson, E. (2008). Observing reading instruction for students with LD: A synthesis. Learning Disability Quarterly, 31, 1–19. Swanson, E. & Wexler, J. (n.d.). Using the common core state standard guidelines to select appropriate text for adolescents with learning disabilities (in press). Teaching Exceptional Children. MCPER is partnering with the University of Maryland to implement and refine a tiered approach to improve reading among sixth- through eighth-grade students with disabilities in public schools. The first goal is to increase knowledge about the implementation and efficacy of an instructional and intensive intervention model for adolescents with disabilities and significant reading difficulties. We aim to determine whether and to what extent the project (a) improves reading achievement and literacy-related outcomes and (b) assists educators in developing a model for implementing research-based practices for students with disabilities in middle school. The second goal is increased availability of evidence-based technical assistance, professional development, and publications on effective models and their successful implementation for secondary students with disabilities. Within a tiered model, all science, social studies, and English language arts teachers will receive extensive, high-quality professional development to implement Promoting Adolescents' Comprehension of Text (PACT) in their classrooms. In addition, all special education teachers will receive equally extensive and high-quality professional development to implement the Responsive Intervention for Students With Disabilities (RISD) intervention. This project is designed to test the efficacy of a professional development model that features Strategies for Reading Information and Vocabulary Effectively (STRIVE), a fully developed set of evidence-based practices for content area instruction with upper-elementary students. MCPER researchers and Central Texas teachers jointly developed the 18-week STRIVE lessons based on several years of experimental pilot studies with approximately 50 teachers and 900 students. The STRIVE curriculum was designed to meet the Texas Essential Knowledge and Skills standards for vocabulary, reading comprehension, writing, and social studies content. The STRIVE intervention will be supported through an ongoing professional development model. The Building RTI Capacity for Implementation in Texas Schools project is part of the Meadows Center for Preventing Educational Risk (MCPER) within the College of Education at the University of Texas at Austin. Funded by the Texas Education Agency for more than 10 years, we promote evidence-based practices and resources to build Texas schools' capacity for implementing Response to Intervention (RTI). Our goal is to help schools use RTI to increase student achievement by reducing the number of students with learning and behavior difficulties. Our team creates and disseminates information, resources, and tools to enhance instructional decision-making in the areas of reading, mathematics, and behavior. An additional focus is promoting the success of students in foster care.